So you got your website up and running. You hired an excellent web designer to craft a perfect home page and satellite pages that will really draw in the visitors and inspire them to buy. You have a beautiful catalog of products with detailed descriptions. You have a section dedicated to the services you provide with praises from past customers. And you have the best online shopping cart service out there so that you customers can buy from you with no hassles and next day shipping. That's great! Now where are your customers? Driving traffic to your website is a much discussed and much misunderstood venture. There are a million theories out there that claim to drive tons of new visitors to your site daily. 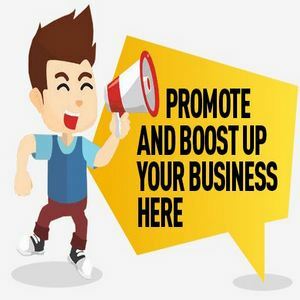 There are services that say they will increase your traffic by an enormous percentage if you will only pay them their small fee over a period of fifty years. There are so-called experts who will place your pages on all the best search engines on the net. They claim that with this kind of blanket exposure, your traffic numbers will explode within days. But the only sure-fire way to draw productive traffic to your website is through targeted marketing. The important word to notice here is "productive." You can draw hundreds of thousands of visitors to your site every year by hosting a giveaway of some kind. Services that search the internet for freebies will have people clicking a link to your site like crazy. But these people are not there to buy anything from you . quite the opposite. They are empty clicks. There is nothing productive about this kind of traffic. People looking for free stuff will rarely make you any kind of money. And that's what you're after, right? So target your marketing to the people who really want to buy what you have to offer. How? Start by trying these basic steps. * Hire an experienced copywriter. The copy that is on your site makes a world of difference in the sales you garner from the internet. Most important to targeted marketing are the keywords found in your title and the metatags in the website's code. An experienced copywriter will know how to determine the most effective keywords and place them strategically in your site's copy. If you cannot afford a copywriter, do some research and talk to your web designer about inserting metatags. * You can enroll in pay per click search engines. Obviously, google.com is one of these, but most of the most popular keywords are already taken. If you can think of some original phrases that people use to search for your products or services, you can post your ad next to the text that comes up when people search for that phrase. Every time someone clicks on your ad to go to your site, you pay google. com a nominal fee. * Submit articles to free ezine sites. This is especially helpful if you are a service provider. You can write, or hire someone to write, an article for you about your area of expertise. Give some free tips, offer your experience, and be accessible in the text. Then at the bottom of the article, you get a link to your website advertising your services. Every time someone publishes your article in their ezine, newsletter or article directory they must use your web address at the bottom. These are just a few of the many ways to ensure you get "productive" traffic. Empty clicks are just that . empty. and your wallet will stay that way, too!.